Why some events can be bind on but not others? 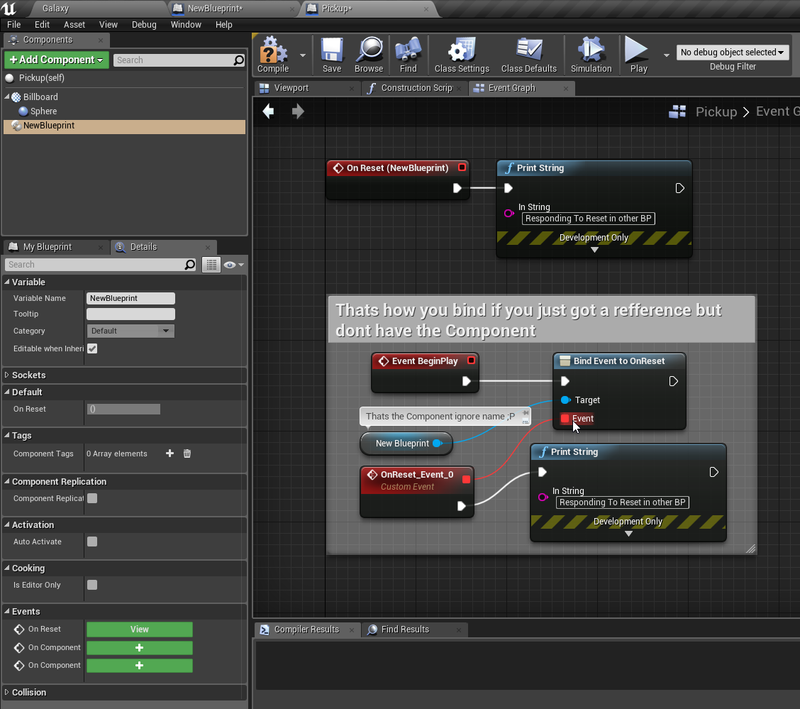 I'm creating an actor component blueprint that needs to know when the OnReset event from the owner actor is called. From my component, I can bind to the owner actor OnActorBeginOverlap event BUT I can't bind to the owner actor OnReset event. Why? I can't understand the difference between one and another. You are confusing Event Dispatchers with Events. Thanks for your answer, just i watched this video today :p.
Maybe I don't understood what the video said. But I don't know exactly why I can bind to my actor event OnActorBeginOverlap and I can't with another actor event OnReset. Hmmmm so the OnActorBeginOverlap is a dispatcher of an Actor, but OnReset is not, is only the receiver event of an Actor. Isn't it? In order to notify my components in OnResetLevel (I will make an interface for example) Have I to explicitly call them from the Actor OnReset callback? OnReset is a Implemetable Event, something else (probably the Level) tells all Actors to execute OnReset. If they do something with it is up to you. Your Actor Implements the OnReset and tells the Component directly what to do via direct Communication. Has to be done in a Base Class or on each Actor individually. Your Actor Implements OnReset, gets all Components and Calls a Interface function OnActorReset and passes self as Parameter (optional but convinient). Any Component that Implemented that Interface will get notified including a (Optional) refference to the Actor who called it (your owner). Like explained before your Actor fires a Dispatcher and Component hooks up to it. But thats still requieres the Actor to call it OnReset. Toggle Visibility of a Component in another blueprint? I have a component selected in my level, but when I go to add an event for that specific component it says it is not seleceted. What do I do? (Solved) How To Trigger AI Melee Attack Animation? Get Perceived Actors out array doesn't get previously seen actors? How to have parented components in a blueprint use different rotations? 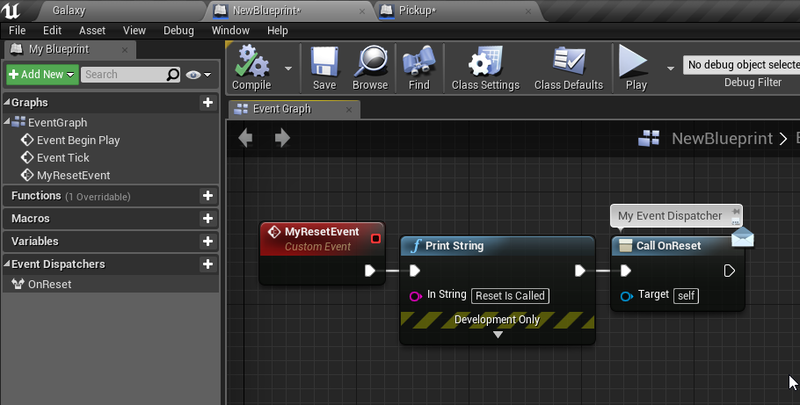 "Add Component" node on Actor Blueprint doesn't work at Begin Play? Can you change an object in a blurprint in the editor viewport?